Are you looking for a beautiful location for your wedding without spending a fortune? Lake Tahoe is the answer. One of the most famous wedding destinations in the world, this scenic locale attracts brides and grooms from across the globe to celebrate their special day. What makes Lake Tahoe weddings great is that you can have an event that fits your budget while still having a beautiful, romantic day to exchange vows in the presence of friends and family. You can choose from a wide range of settings when you opt for a Tahoe wedding. This part of Northern California has picturesque mountaintops, beautiful beaches and a number of quaint chapels where you can have the perfect wedding. You can have a grand Emerald Bay wedding or a simple, intimate ceremony with close family and friends. No matter what type of wedding you want, the Tahoe area is ideal as the location you choose will be surrounded by nature’s beauty, giving you the most beautiful backdrop for your special day. 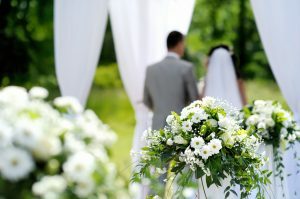 Do you just want to enjoy a beautiful wedding day without having to take care of the stressful details of planning one? Leave the planning to us! We have planned small Lake Tahoe weddings, opulent events straight out of a fairy tale, and even small gatherings for couples who want to elope in Lake Tahoe! No matter what your dream wedding is, we can help you plan and organize it, making sure that it goes off without a hitch. Planning a wedding is not an easy task. From making arrangements for the venue, flowers and decorations, the cake, reception to finding accommodation for out-of-town guests, there is a long list of things to do. We can make things simpler for you by handling all the details. You can relax and show up for your wedding looking and feeling relaxed and ready to begin the new phase of your life with your significant other. Whether it is Tahoe lakefront weddings or mountaintop unions, the Lake Tahoe area is the best wedding destination to plan your special day. The best part is that it is beautiful all year round so you can have your dream wedding any time of the year. If you are looking for a beautiful and romantic place to get married, look no further than Lake Tahoe and pick us to plan the perfect wedding for you.